Birmingham on the 2017 tour? 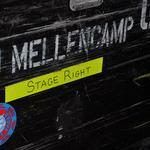 John Mellencamp Community > MELLENCAMP.COM ANNOUNCEMENTS > Ticket & Tour Questions > Birmingham on the 2017 tour? Please tell me Birmingham, Alabama will be on John's 2017 tour? Does anyone know? Is there even any way to know yet? Re: Birmingham on the 2017 tour? It doesn't look like Alabama is on the tour itinerary this summer. Look for the Summer Tour dates to be announced in the next two weeks!